The Education and Skills Funding Agency is going to scrap its minimum standards policy as part of an earlier and stronger intervention regime. New ‘oversight of independent training providers’ guidance was published today which details how the agency aims to “eradicate low quality training provision, protect learners and public funds”. Currently, the ESFA only routinely takes action when a private provider has been judged ‘inadequate’ by Ofsted, or has failed to meet minimum standards or financial health requirements. But as part of its new strategy, the agency will bin its focus on minimum standards and instead use “all education performance data available to us earlier in our overall risk assessments”. “The policy and related intervention trigger for minimum standards has been in place for over a decade and is ripe for review,” the guidance states. “We will cease taking intervention action on the basis of the 16 to 19 and 19+ education measures under the current policy after the application this year to 2017 to 2018 data. Reformed apprenticeship measures, however, require a more fundamental review as we move from frameworks to standards. As part of the new intervention strategy, independent providers will now be required to have an “exit plan” from the 2019/20 contracting year. The plan will need to detail how the provider will “assist” the ESFA to transfer learners if a provider ceases trading. It must “cover the areas of learners, data, and evidence (including for sub-contracted delivery)”. Where data and analysis shows there is a “risk to learners or public fund”, the ESFA can now apply sanctions to independent provides including suspension of recruitment or restricting growth. Providers will also have contract managers with the ESFA, which will require “regular contact, including as appropriate, face-to-face meetings to review contract performance, compliance, financial position, quality, capacity, or other risk factors”. Financial information that will be requested from independent providers could include “management accounts and/ or a rolling 12-month cash flow forecast, in-year qualitative key performance indicators, information to support contract performance in terms of learner profile of recruitment, in-learning, retention, progress and achievement and/or evidence of audit or self-assessment findings including outcomes from regular PDSATs, feedback from learners, staff and/or employers”. 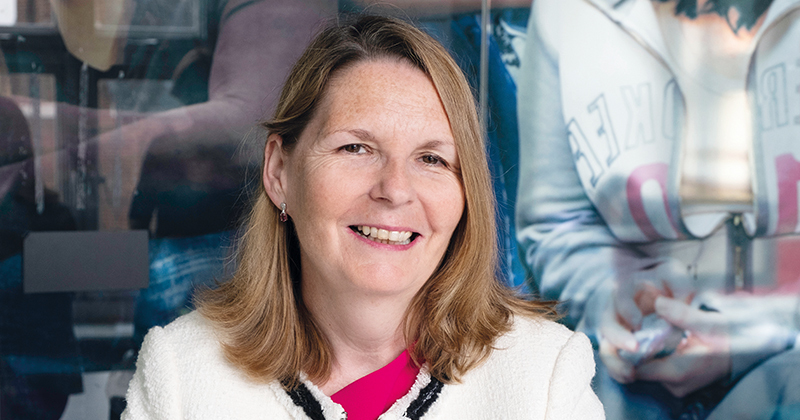 ESFA chief executive Eileen Milner (pictured) said: “ITPs are vital to the further education infrastructure, supporting learners and employers through the delivery of apprenticeships, adult skills, education for young people and specialist provision. “Whilst the majority of training providers delivery meets our training standards, there will always be a small number who start to fall short of these standards.